14,500 Transition Year students from all over Ireland entered the National Press Pass Journalism Competition in October and our very own Aine O'Connell was awarded 2nd place for her Feature article: 'When Bubbles Burst and People Pay'. 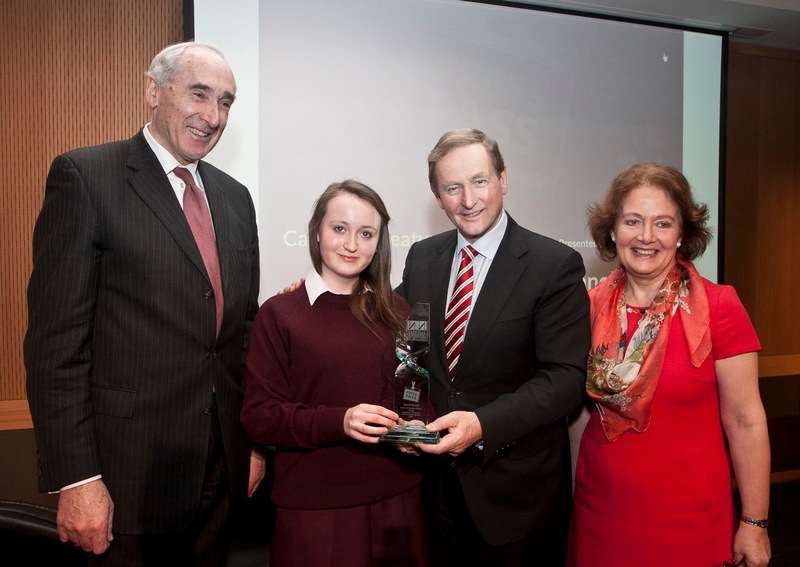 Aine was presented with her award by Taoiseach Enda Kenny on Wednesday 27th February in the Convention Centre in Dublin. Well done Aine and we are all looking forward to reading your work in the future!